We have 16 years export experience for supplying high quality printing & packaging machinery,our professional and energetic team to provide you reliable function equipment and good service, with strict quality inspection system to guarantee your benefit. 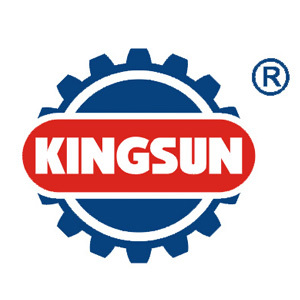 Wenzhou Kingsun Machinery Industrial Co., Ltd. is one of a professional manufacturer and exporter of printing & packaging machinery and materials in China. Our company was combined by more than 16 different factories. Most of our factory specializes in manufacturing one kind or more machines and materials established in early 1980s, among of them some already passed ISO9001 or CE attestation. In order to provide full range of products and comprehensive service to our increasing customers worldwide, we adopt latest information technology, employ professional trained staff, so we have quick response to different customers from different countries. Through years' unremitting efforts our products have been well received by world market, now we have gained very good reputation in this field. We have much confidence that we can provide better products and services to our increasing buyers in the future. It is well worth to mention, we always forward most appropriate solution to our customer for their decision, and we follow the principle to service our customer not only to just sell equipment. Our engineers take care of every detail, we choose China famous brand or imported world top brand high quality raw materials and components for export type machines, to make sure you can get good quality machines and materials. We provide one stop solution for printing, finishing and packaging equipment,we sincerely hope we can be your best choice partner in China! Let's work together to be more sucess tomorrow!